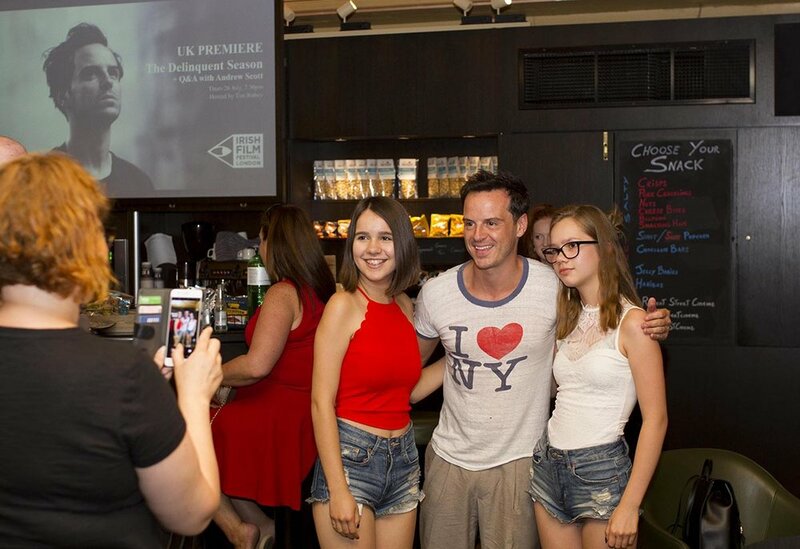 In July 2018 we hosted this UK Premiere screening of The Delinquent Season at Regent Street Cinema, which was followed by a Q&A with actor Andrew Scott. Andrew Scott is a much acclaimed Irish actor, who has starred in a diverse array of projects across film, TV and theatre. Andrew has starred in a vast number of successful feature films. Recent work includes DENIAL, starring alongside Rachel Weisz and Timothy Spall; SPECTRE from the James Bond franchise; ALICE THROUGH THE LOOKING GLASS with Johnny Depp, Ken Loaches JIMMYS HALL, as well as his acclaimed role in hit British film PRIDE for which he received the British Independent Film Award for Best Actor in a Supporting Role.